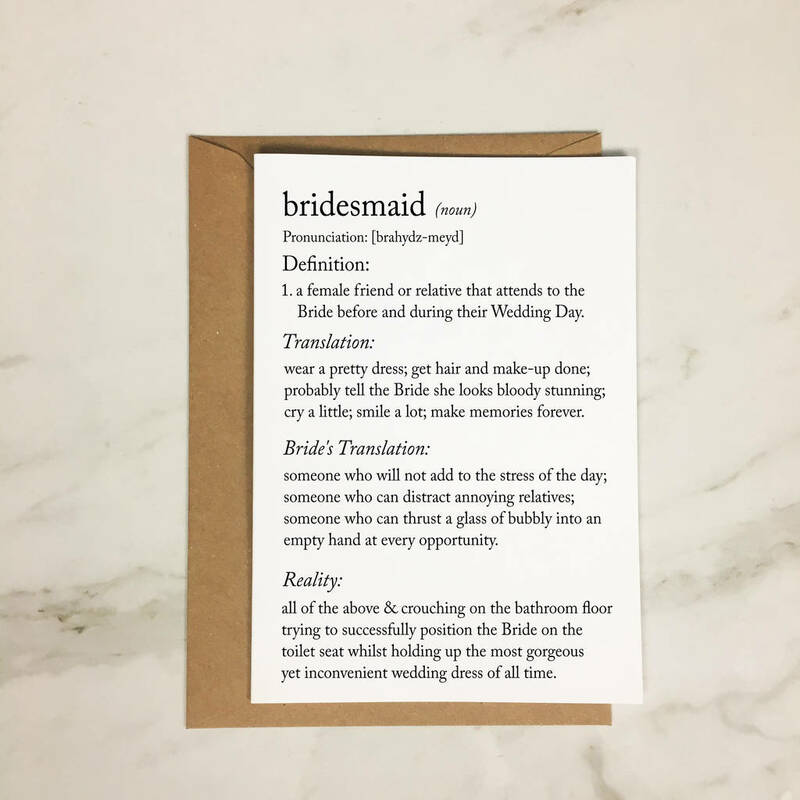 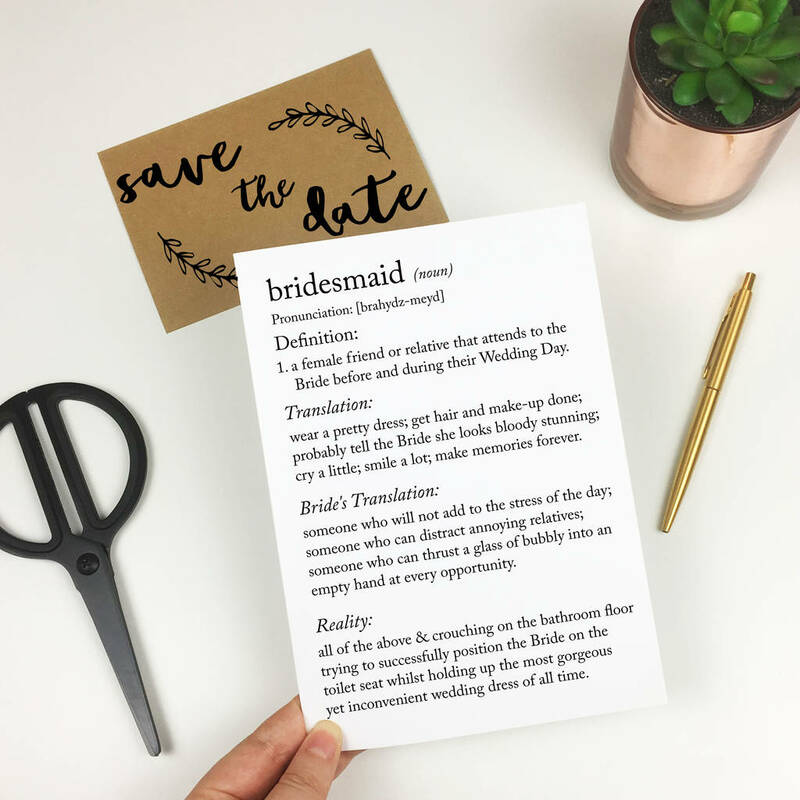 A dictionary definition style A5 Bridesmaid card with a hilariously honest outlook on what it's really going to be like as YOUR Bridesmaid! 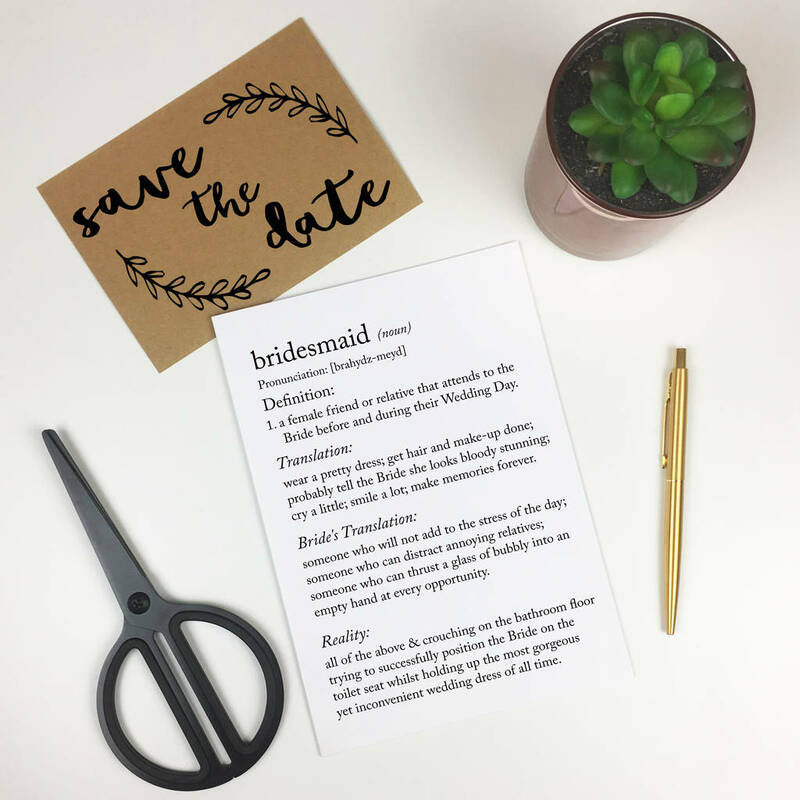 We print on thick, heavyweight 350gsm card, uncoated but smooth in a natural white eggshell colour. We use long lasting inks and professional printing equipment.